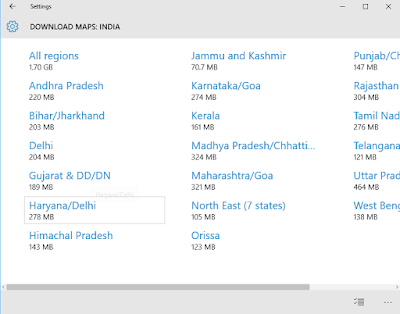 Offline maps are available with Windows 10/8/7 PC. They can be used when you are not connected to The Internet. Just update them and you are ready to go. 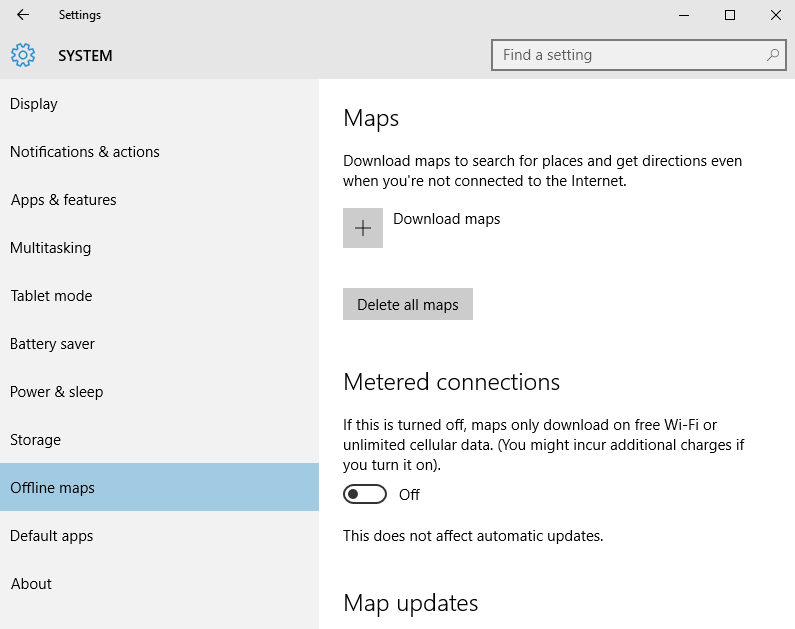 To open Offline Maps, go to Start Menu and click on it, go to Settings by clicking on it. There you will find first tab SYSTEM (Display, notifications, apps, power), click on it. 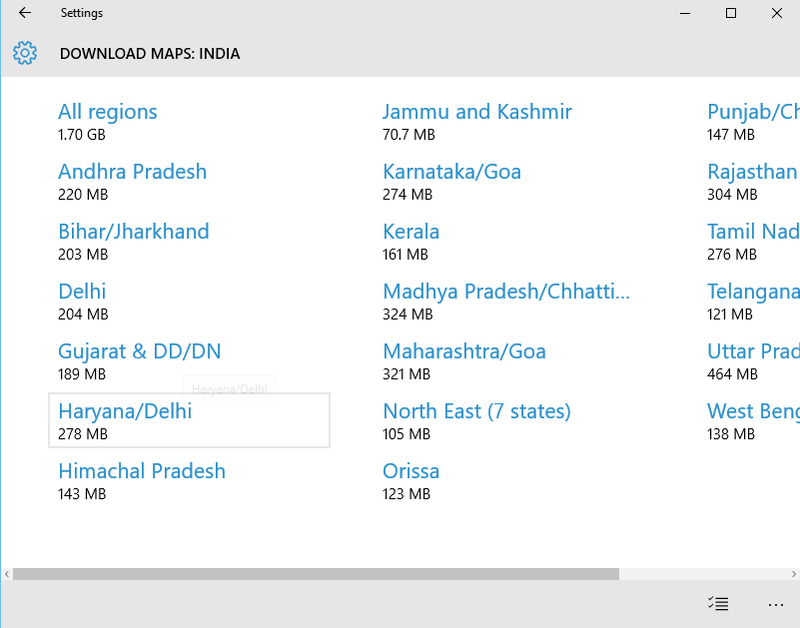 Now click on Offline Maps. 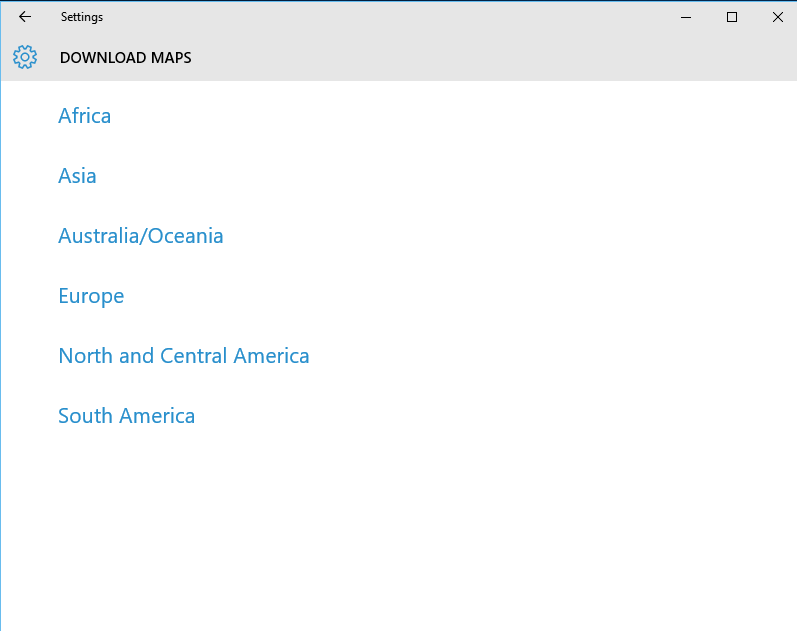 Maps – Download maps to search for places and get directions even when you are not connected to the Internet. 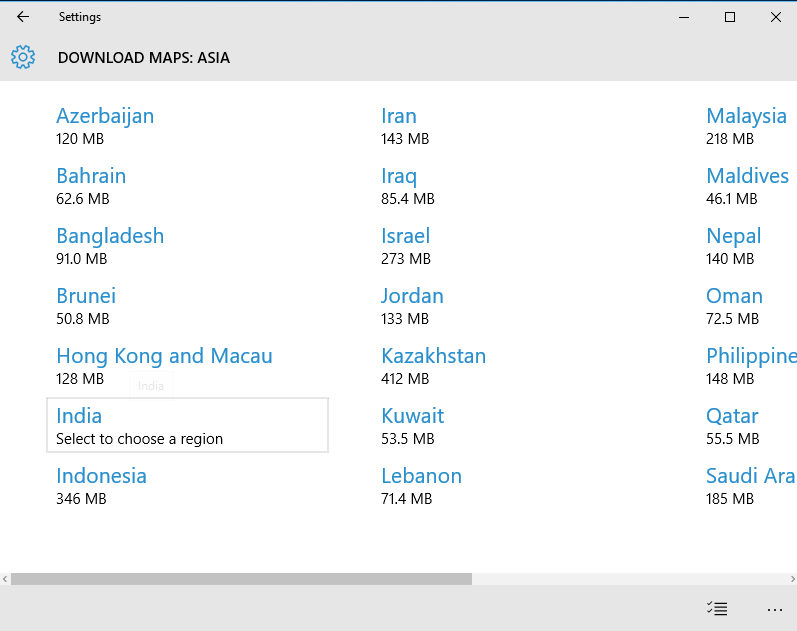 Click on Download Maps. 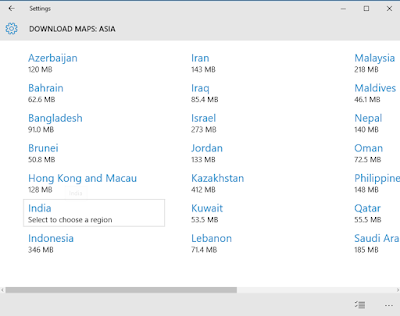 Choose the place of which you want to download the map. Once downloaded, you can use it from anywhere. If you have the older map or you want some space then you can delete maps also. Another option is Metered Connection. Here you can ON/OFF download process in case you are on a metered connection. 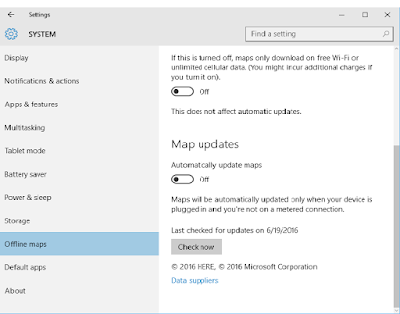 And if it is off then maps will only download at free Wi-Fi or unlimited cellular data. 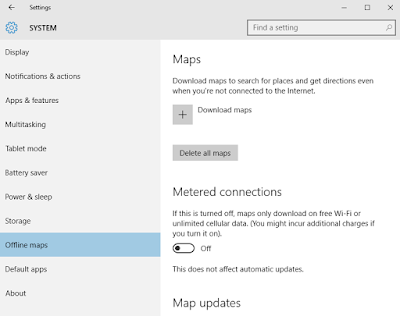 You can ON/OFF auto update of maps. 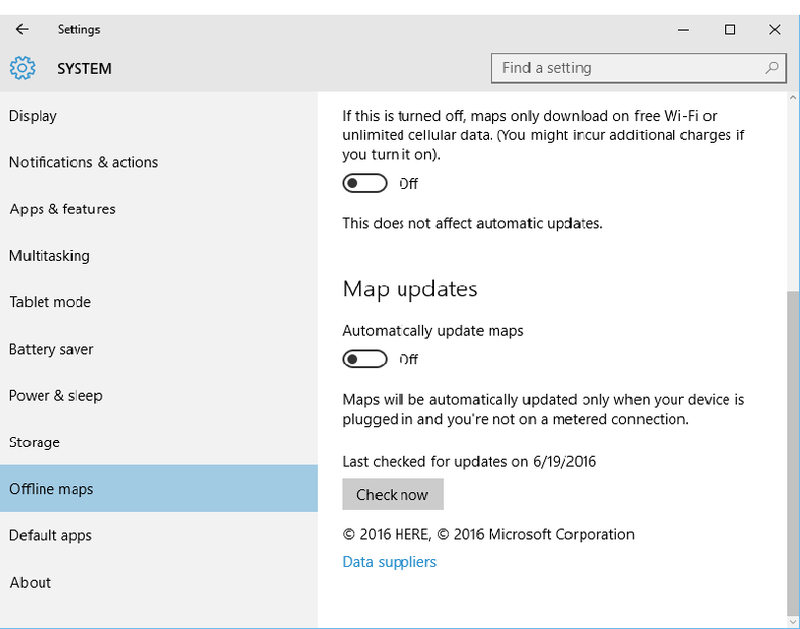 Here also maps will only be automatically updated only when your device is plugged in and you are not on a metered connection. You can check for updates. It will show you last updated on. You may like How to use Storage option in Windows 10/8/7.